A late summer to early fall maturing variety. A tall up right plant with beautiful purple flowers. 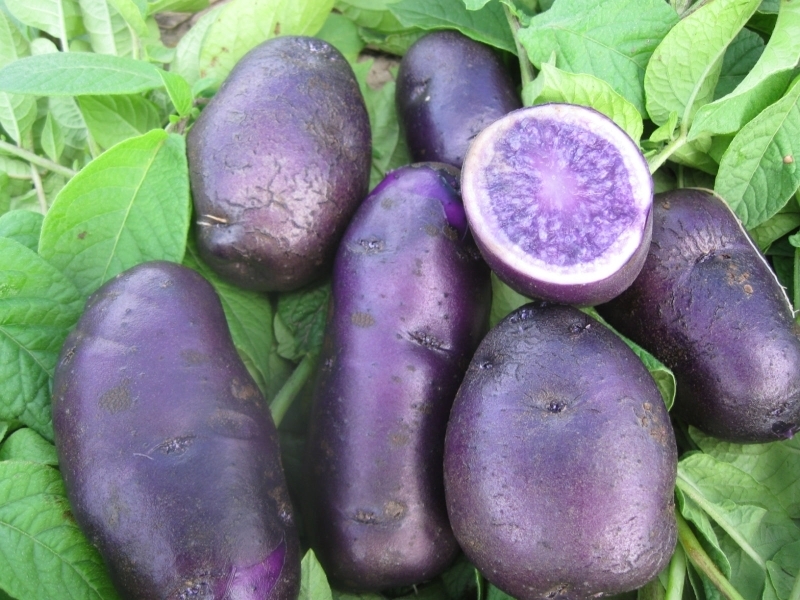 Deep purple skin with a nice purple flesh. Great anyway cooked, especially when turned to purple french fries.